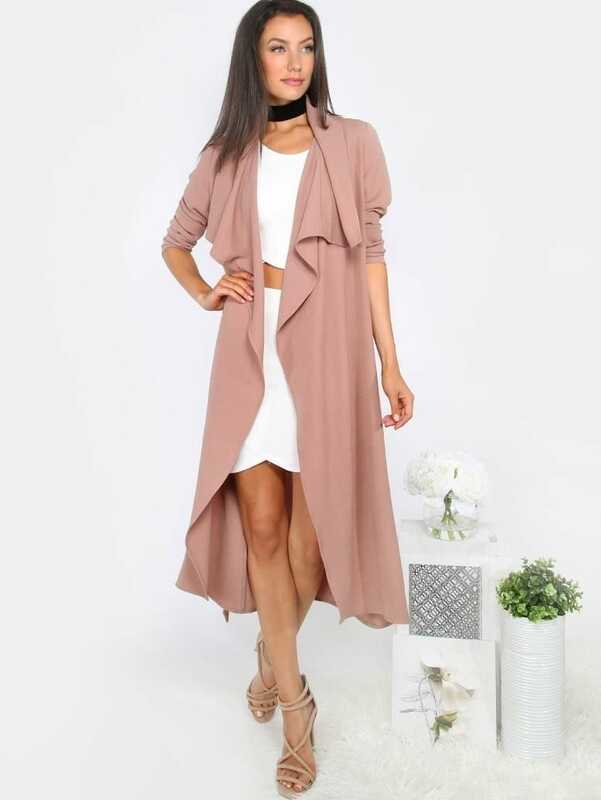 Get that A-list celeb inspired look with the Lapel Long Sleeve Duster Coat! 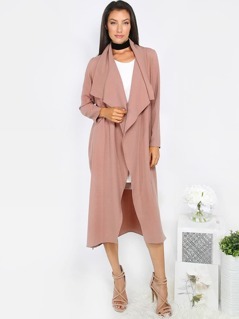 Features an open front, long sleeves, and a waist tie. 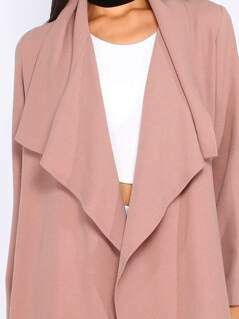 Duster coat measures 44.5" from shoulder to bottom hem. Wear with hot lace up stilettos for a killer ensemble! Modeled in a size S.